I love this series and this newest addition to the series is just as enjoyable if not more so due to some excitement with Skye and Wally. Great plot, mystery and characters! Would you listen to A Little Bit Wicked again? Why? I would for her Kristin's comic one liners and sense of humour. Her beautiful voice is wonderful as narrator. The ending was more or less like the rest of the book. A solid story about her life in showbiz from her pageant days, and ballet classes right up until she was on our TV screens. I have only ever watched her on TV in Pushing Daisies ,and Four Christmases and Deck The Halls. I think she is a lovely actress !! Yes there was a few moments that were emotional. When she talked about her birth mother, and her adopted family , and when there was a death in the family, and she was on a plane when she got the news..I just wanted to give her a hug!!! Kristin has just about the worst luck when she is flying .. I liked how she explained her treatment by staff on her flight. You never think it could happen to a celebrity. Her love for her adopted family is also worth a mention. It was very touching to listen to. Would you listen to Put on Your Crown again? Why? I don't know.. Her voice was beautiful and her story was touching and I am very glad I read it ,but I am not sure I will listen to it again. Although saying that, there are others who will gain a lot from this and who will enjoy listening to this more then once. Dana is very optimistic and a sunny person. It was lovely spending time in her world. What other book might you compare Put on Your Crown to and why? Jennifer Hudson's autobiography is quite similar. Both are strong beautiful women who love their families and care very little about all the trappings of fame. They seem like real people that you would enjoy spending time with if you met them in real life. 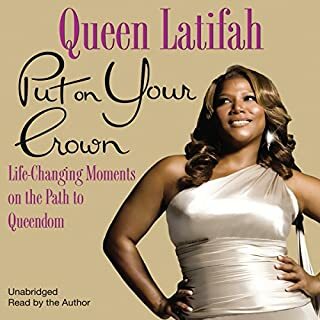 Have you listened to any of Queen Latifah’s other performances before? How does this one compare? I have never listened to other performances by her before. I had watched almost all of her movies and I love her as an actress. I love the way she looks at life. Small things giving great enjoyment. Spending time with real friends and family. Taking care of those who took care of her. Taking a moment to live in the moment ..When Dana( Queen Latifah) talked about the loss of her beloved brother I do admit to crying. She describes the moment so vividly in the hospital with her and her mother as they got the bad news it almost felt like I was there too. Her brother is mentioned so often in the book it feels like he was there with her when she was writing/recording it. Mama Owens was a wonderful women too and it is easy to see where Dana got her strength and sensible look on life. Her performance was excellent and touching and I am so glad I listened to this story. Dana's family are very dear to her and with good reason. They seem like really great people. It was lovely gettting to know those close to her and to see what made her the person she is today. A really nice read that encourages me to look up more about this wonderful woman who is an inspiration to all curvy girls out there. Stunned By How Good This Was!!! 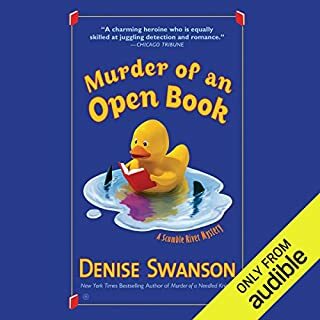 Where does 14 rank among all the audiobooks you’ve listened to so far? This is my favourite audible book so far.. I bought it not knowing much about it and I truly loved every second of it. I literally did not want to stop listening because I had to sleep and eat. No, this was a first, but it wont be the last. Ray did the voices so well, esp the female voices and the voices of the Squales...OMG he did thise sooooooooo good.. I had goosebumps on my arm and kept thinking of all he said. Even now I can hear it in my head when I think of the book. I was on the edge of my seat from start to finish.. Housework was left... Husband was not fed... everything was left until I had the book finished..I was freaked out by the story, intrigued and and left speechless. I sooooooooo want there to be another book after this one..... 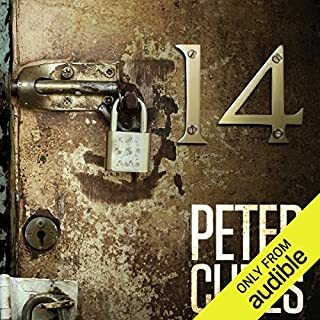 Please Mr Peter Clines write a sequel!!!!!!!!! Oh Yes, without a doubt. This book is wonderful , esp for people who like books about books. This book is not just for children. Any adult will enjoy this just as much or perhaps more. I most enjoyed how much the main characters like Meggie, Mo, Elinor adored books sooo very much. They respected books and cared for them to the centre of their souls. Books were as much part of them as an arm or a leg. Their lives were surrounded by books and they got great comfort from books and were happier because of having books in their lives. Books were there to be cherished and they shared their joy of books with each other. 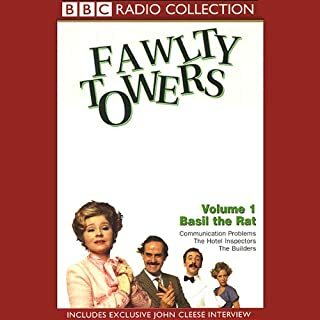 Which character – as performed by Lynn Redgrave – was your favorite? I cannot pick one , I have to pick three. Mo, Meggie and Elinor.. It was just wonderful listening to her. I could just picture them in my head. The book makes me so happy, I have it in multiple formats. I never tire of reading it. If you love books, I do mean love,then this is the book for you. Books are magical and this one is especially magical. 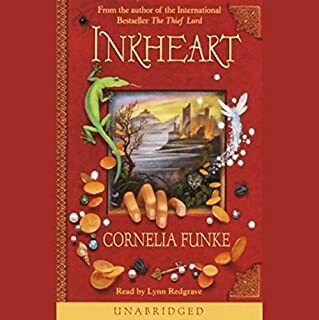 This is a story about magic , love of books, family, sharing a love of books with those we most love, good guys, and bad guys . It is so wonderful !!!!!!!! Pod, Homily, and Arrietty are a family of tiny people who live beneath the floor, behind the grandfather clock in the old rectory. They own nothing - everything they have is borrowed from the "human beans", who don't even know they exist. If you could sum up The Borrowers in three words, what would they be? 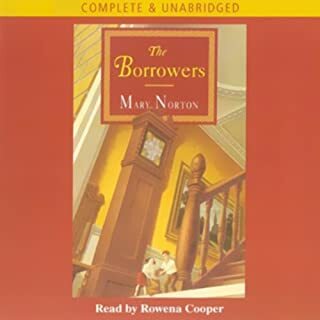 All the household objects that the borrowers borrowed to use in their own home . I thought that was really cute. The story can really get young imaginations sparking!!! Have you listened to any of Rowena Cooper’s other performances before? How does this one compare? No, I had never heard any performances by her before but I would be keen to listen to more. Rowena has a wonderful voice. The old lady in the bed talking to one of the borrowers. It was so sweet and touching. A lovely book to share with young people to get their imaginations running overtime. The small hand that creeped me out. What made the experience of listening to The Small Hand the most enjoyable? The narrator's voice was the most enjoyable part. He told the story so well ,and you could almost feel the emotions he was feeling. The ending. I finally learned what the entire story was about and why it happened. I did not guess ahead of time what the ending would be so I really enjoyed that. 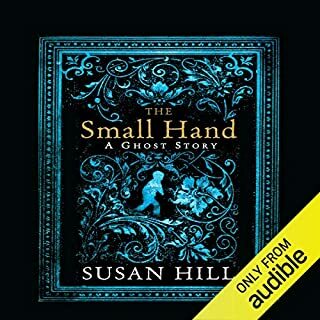 Susan Hill can build tension in a story very well. Which character – as performed by Cameron Stewart – was your favorite? Yes, when he was left the country and went to visit the monastery in the hope of buying the book he was going to view. The eerie moments he had when he was there and the spiritual moments he spent talking to the monks,esp when he told one of them what was happening with him, how he felt he was being haunted. This was a very good book to listen to. I do prefer The Woman In Black but this was very very good too. Would you listen to Unbearable Lightness again? Why? Yes I would. 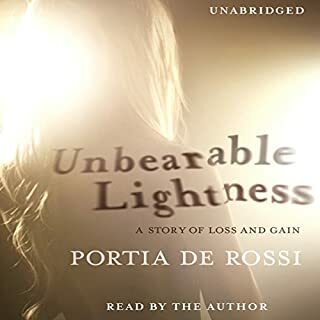 It was a tough subject that normally would not interest me to hear again but when told with Portia's wonderful voice it becomes a very touching account about a very hard time in her life. Portia's honesty. Portia in no way made this seem glamourous. You are shown exactly what she went through. I can understand now why this is an illness. The struggles she went through and how strict she was with herself were mind blowing. The Yogurt part and the part of exercising while at work and trying not to ruin her make-up It showed how strict she was with herself . The Strength Of A Woman.. One Woman who fought the war on eating disorders and won. 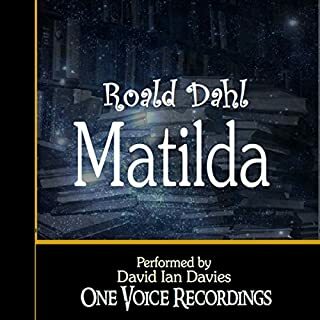 Tiny and innocent, Matilda is the child of Harry and Zinnia Wormwood, who have no respect for their daughter. Having just entered her first year of school, Matilda makes friends in Miss Honey's class and quickly amazes her teacher with reading and math skills she has not yet been formally taught. Her intelligence amazes Miss Honey. Enter Headmistress Miss Trunchbull, who despises and mistreats the school's children with torture and violence that no one has the courage to challenge. What disappointed you about Matilda? The voice of the narrator I did not enjoy at all. It was very grainy and unclear. I wish I had saved my money and bought either a different version or a different Audible book. Who would you have cast as narrator instead of David Ian Davies? Stephen Fry, Kate Winslet, both are clear and eloquent. The recording was scratchy like an old record. Yes the story itself was wonderful as I have read it previous times before. I just wanted to have it on Audible too. Sorry to say I did not enjoy it.